The e-learning course on the Integration of the SDGs into National Planning was developed by UN ESCAP to support policymakers and sustainable development practitioners in developing strategies and plans to implement the 2030 Agenda on Sustainable Development and the 17 Sustainable Development Goals (SDGs). The 2030 Agenda for Sustainable Development and the 17 Sustainable Development Goals were developed through an inclusive and comprehensive process that considered diverse sector-based specializations and perspectives. The SDGs embed all 3 dimensions within their targets - economic prosperity, social justice and environmental protection in one “indivisible whole”. Furthermore, the 17 Sustainable Development Goals and their targets are closely interlinked and require innovative, multidisciplinary and unconventional policy approaches, such as those focusing on the intersections (meeting points), interlinkages and complex causal relationships for developing effective strategies supportive of the implementation of 2030 Agenda. This e-Learning course deals with the aspects of ’Why’ and ‘How’ of integration and offers a deep understanding of ESCAP’s methodologies and tools to aid governments to enact an integrated and interlinked policy-making process. The course consists of three modules, which give insights on the importance of the integration of the three dimensions of sustainable development and provide further guidance on available tools and their application for policy making and implementation. The first module on Integration of the Three Dimensions of Sustainable Development is based on the UN ESCAP publication with correlating title - Integrating the three dimensions of sustainable development: A framework and tools. The module defines and articulates to policymakers the essence of integration of the three dimensions of sustainable development, namely economic, social and environmental, across the policy cycle. 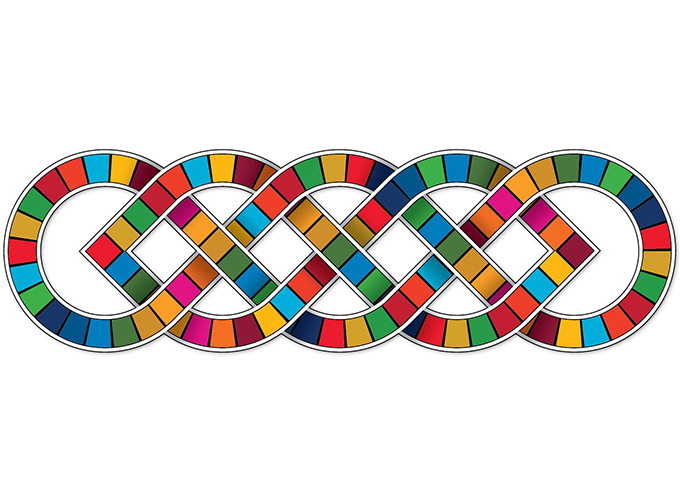 The second module on Systems Thinking Framework to Support the 2030 Agenda on Sustainable Development and the SDGs provides an overview of systems thinking methodology and school of thought, a step-by-step guide to systems thinking modelling and examples of application in countries of the Asia-Pacific region. The module also briefly introduces the ESCAP experience in applying systems thinking to SDG integration analysis and provides examples and case studies from contributing partners. The third module on ESCAP’s Methodology for Applying Systems Thinking in Asia-Pacific Countries for Integrating SDG 6 into National Planning describes the practical application of the ESCAP analytical framework for integration of SDG 6 on Clean Water and Sanitation with the other 16 SDGs at the target level and builds on the Analytical Framework for Integration of Water and Sanitation SDGs and Targets Using Systems Thinking Approach. The module also describes the practical application of the methodology in pilot countries and lessons learned. The programme is free, provided in English and will last for four weeks.